During our visit to Chicago’s Lincoln Park Zoo earlier this month, we had a look at the bird enclosures. After viewing the penguins and seabirds, we headed to the McCormick Bird House, which is home to at least 28 species in several different exhibits. A shorebird habitat housed a sunning American Avocet, a shy Red Knot and Piping Plover, and an extremely active Black-necked Stilt. 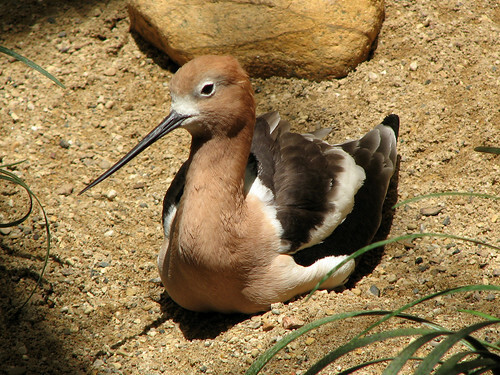 Separate enclosures housed more birds, including two endangered species which are part of breeding programs. 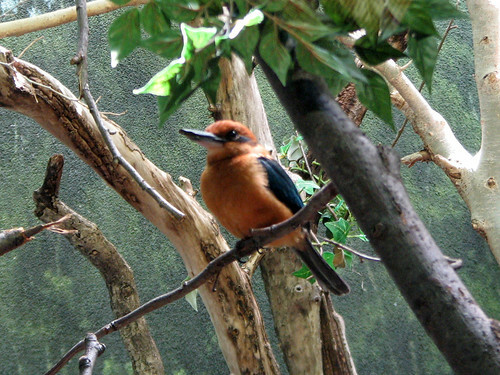 The Guam Micronesia Kingfisher is extinct in the wild, with just 100 birds in zoos. 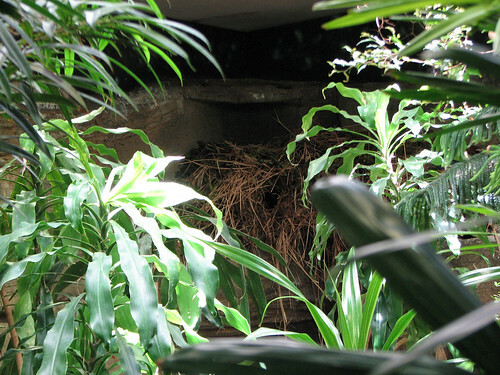 The Lincoln Park zoo participates in a species survival plan in cooperation with other zoos. 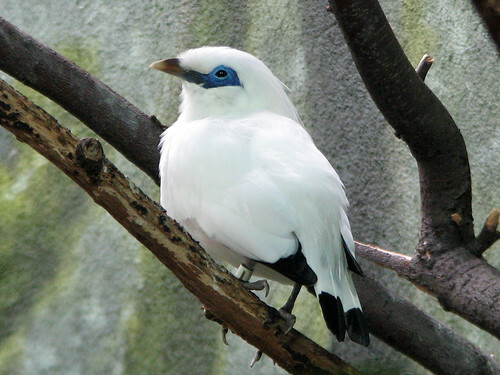 The zoo also participates in a species survival plan for the critically endangered Bali Mynah, in cooperation with other zoos. 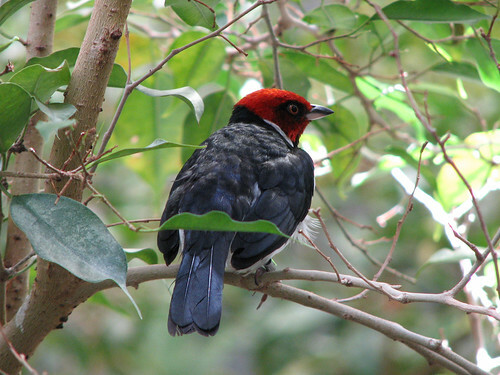 Many of the birds are housed in an open aviary, and visitors walk between the habitat with birds flying overhead or scurrying across paths. 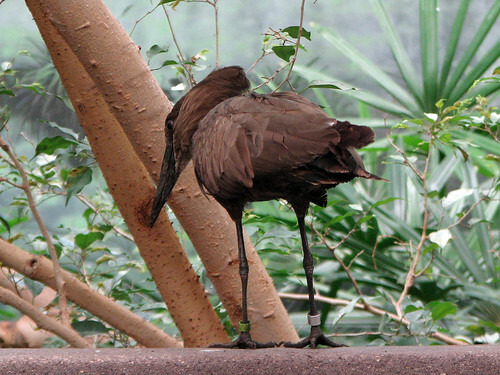 We had fun watching an active Hamerkop gathering mud and debris for a humongous nest. 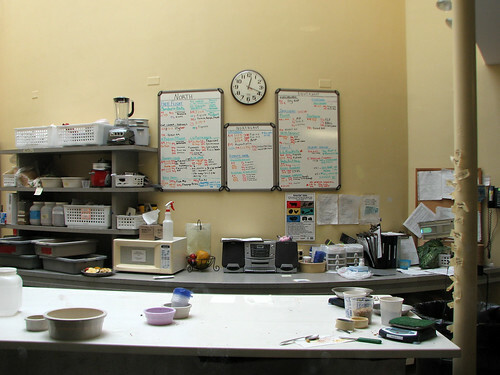 Before leaving the building, we stopped to peek inside the kitchen. What a complicated menu! This entry was posted in Endangered, Extinct, Zoo. Bookmark the permalink. 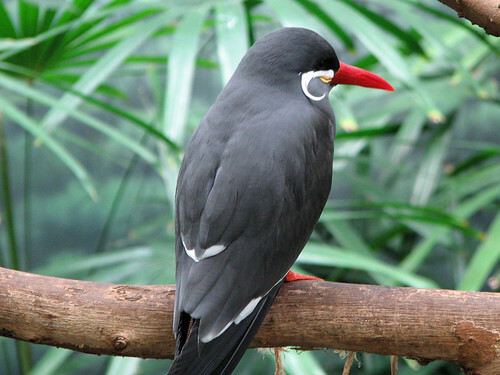 The Inca Tern is an impressive bird. 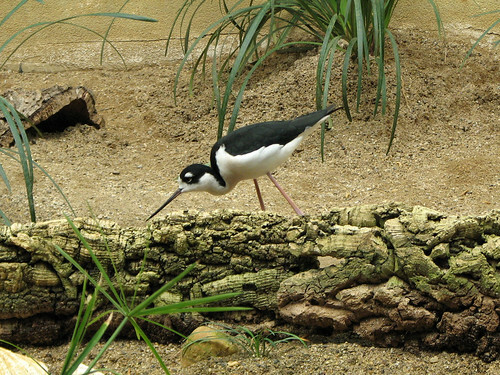 I was also fortunate to see a Black-necked Stilt in the wild recently too.